For those idle moments when you just want to take a short break and enjoy a bit of fun while on the go with your Treo or Centro there is no better remedy than choosing one or more of the terrific current Top 10 bestselling Palm OS and Windows Mobile games below. 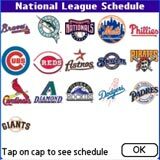 This month we see three new entries in our Top 10 Games list with mySchedule MLB 2008 (#3), TopSuDoKu (#9) and Bubble Shooter Mobile (#10). At the same time Real Dice Network retains its undisputed position at #1 while Bejeweled2 fittingly climbs to #2; Par72 Golf climbs six places to #4 and Rampart Chess up four places to #5. Dropping out of the list this month are AFK Wordsearch, Solitaire Mania and Advanced Brain Trainer Edition 2. You can get these games or choose from the thousands of applications in our Treo and Centro Software Store at a special price using the 20% off coupon that we’ve created (now valid until May 31). Simply enter the coupon code BESTSELLERS in your cart. [please note that this coupon is not valid for use in the Treo Accessories Store or Centro Accessories Store]. Real Dice has been recognized with numerous industry awards in 2006, including Developer of the Year and Game of the Year. When you join the Real Dice family, you can be sure you'll get a first-class gaming experience. 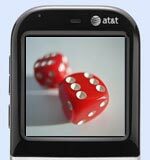 New games are added regularly and the full Real Dice catalog currently includes: Poker (Texas Hold’em), Backgammon, Chess, Mahjong, Sudoku, Dominoes, BlackJack, Slots, Video Poker, Roulette, Hearts and Spades. 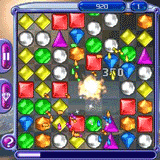 Like the original version, Bejeweled2 brings one of the most addictive gameplays to your Treo or Centro for hundreds of hours of exhilerating play. Bejeweled 2 features all new graphics, stunning background images, in game transitions and cutting-edge special effects. The game has four standard play modes; classic, action, endless and the all-new puzzle mode and five special bonus modes are unlocked as players progress through the various standard modes, adding extra challenges and even more gameplay. 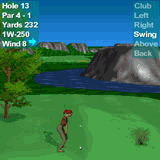 Par 72 Golf is a realistic, simple and fun 3D golf game featuring three 18 hole courses set in mountain, desert, and seaside environments. The new version 2.0 now offers 3 courses and it was selected as a finalist in the 2007 Handango Entertainment Product of the Year. If you're a beginner, or ready to take on Garry Kasparov, Rampart Chess is the Palm chess program for you. It features high resolution, beautifully-rendered chess pieces, a two-player mode to challenge your friends and a fully editable chessboard to set up legendary chess games or puzzles. 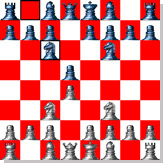 A powerful Palm chess engine featuring 5 levels of game play and an Aggressive mode featuring more frequent attacks ensure that Rampart Chess will give you a good run for your money when playing against it. 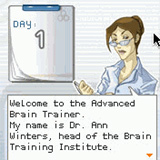 With Advanced Brain Trainer Edition 1, enjoy 5 training modules to improve your calculation, focus, memory, logic and reaction time. A coach will analyze your results, motivate and guide you through your mind’s enhancement. Exam: train five minutes daily with different training modules. Practice: you can freely exercise your brain with the different modules before or after each Exam. Arcade: this fun bonus mode will test your skills to the limit as only a limited number of mistakes are allowed. Astraware Casino features 8 of the most popular games found in casinos around the world including Texas Hold 'Em Limit Poker, Roulette, Slots, and Blackjack. 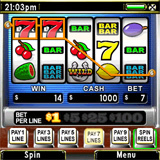 You'll also get $1000 in your virtual wallet so you can start playing right away. 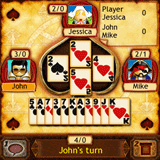 This latest version 1.10 includes two new games - Video Derby - which is reminiscent of the miniature mechanical horse racing games seen in casinos and arcades, and 3 Card Poker - a variation of poker also known as Tri-card Poker and based on the British card game, Brag. BeCrossword is a handy application for solving crossword puzzles on the palm of your hand without paper and pen, without PC or notebook. Tens of thousands of crossword puzzles from major crossword publishers such as New York Times, Washington Post and Houston Chronicle are sent wirelessly to your smartphone every day. 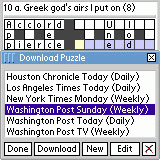 This latest version 1.12 includes 442 recent puzzles from major crossword publishers which are bundled for free. SuDoKu is an addictive logical puzzle game that has millions of fans around the world. Now you can join the hype and play real sudoku anywhere you go. Try TopSuDoKu, its simply the best SuDoKu for the Palm with all the goodies you want. You get an infinite number of true random sudoku puzzles with a unique solution. You can also challenge our super fast solver with any board or create your own boards and share them with your friends. 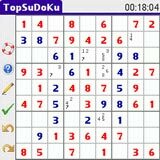 TopSuDoKu offers a super intuitive, graphically rich and easy to understand user interface. Beware, it's addictive! 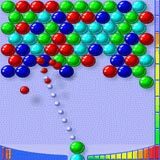 Bubble Shooter is a cool game with simple rules and great wealth of combinations and strategies. The goal is to explode all the bubbles before they overflow the board. It takes the best from Tetris, Arcanoid, Pool adding new and cool features. You gain points after each successful shot, otherwise more bubbles appear on the board. Different skill levels are available, everybody from kids to quantum scientists will have fun. Separately, you may also want to see our list of the Top 100 Treo and Centro Software titles for a great selection of terrific titles.